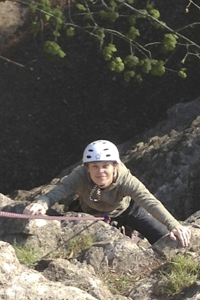 Indoor climbing happens all year around, mainly at Redpoint climbing centre in Bedminster. We are luck to have such a good centre so close. 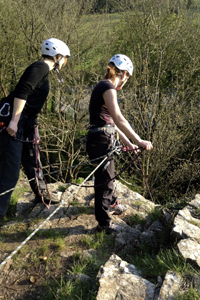 As demand indicates, we can arrange for them to provide introduction to climbing sessions for complete beginners. 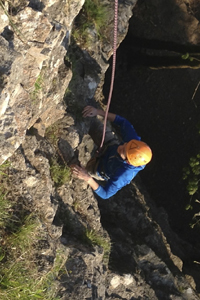 Once you have learnt the basic climb safety skills you can join in with our regular climbers, usually on a Tuesday evening (see calendar). 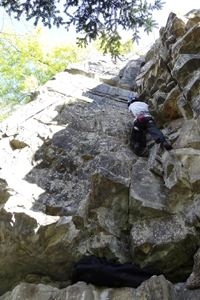 The advantage of an indoor wall is that climbers of different abilities can climb together -without one being out of their skill level - because there are a wide range of route grades within a small area. 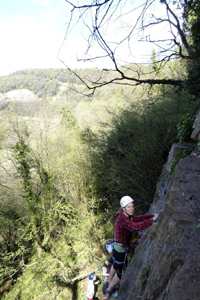 As the weather gets warmer in Spring, and the evening lighter in Summer, we arrange ad-hoc climbing trips out doors in the local area. 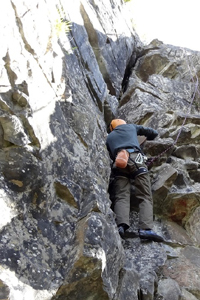 Because outdoor climbing is so weather dependent we tend not to organise specific trips away but we join in with multi-activity trips. This means that we are not disappointed by bad weather but join in with another activity.